"This excellent collection of essays addresses with great range and significant insight urgent questions that have long haunted and are again animating the relation of Englishness to Britishness, of nationalism to imperialism, of local cultural grammars to global political forms. 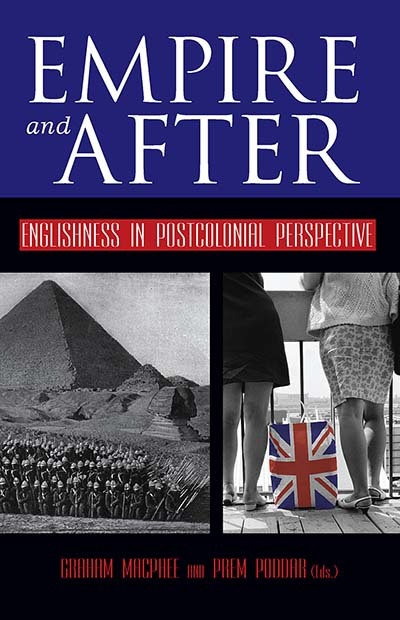 In collecting the essays for the volume and in their own contributions to and introduction of it, the editors have done a superb job of reminding readers why the many paradoxes of "Englishness" are vital not only to the long history of the formal British empire but to the moment of flexible imperialism we currently inhabit. This is a timely and striking addition to the field." · Ian Baucom, Duke University. Graham MacPhee has taught at universities in Britain and the US and is currently Assistant Professor of English at West Chester University of Pennsylvania. He is the author of The Architecture of the Visible: Technology and Urban Visual Culture (Continuum, 2002). Prem Poddar is Associate Professor of English at Aarhus University. He is the author of Violent Civilities (Aarhus UP, 2003) and the co-editor of A Historical Companion to Postcolonial Literatures in English (Edinburgh UP/ Columbia UP, 2005). Chapter 6. Brit Bomber: The Fundamentalist Trope in Hanif Kureishi’s The Black Album and "My Son the Fanatic"